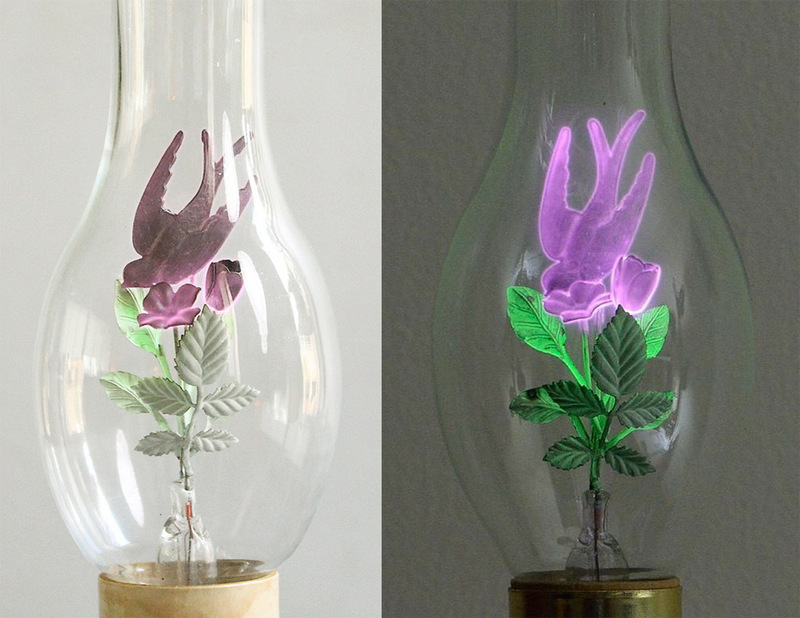 Dan Flavin, Roses. 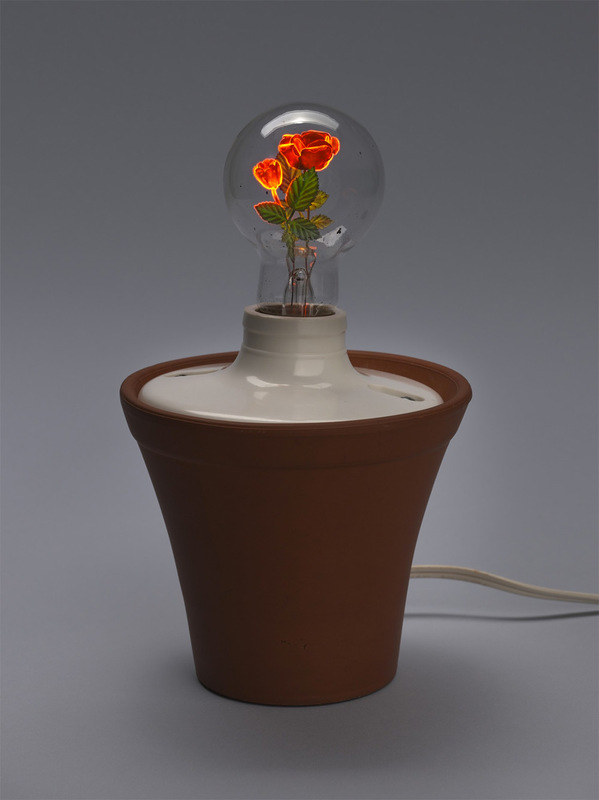 Aerolux Flowerlite light bulb, ceramic flower pot, cord and light switch. 8 1/2 x 5 1/4″ (21.6 x 13.3 cm). Courtesy MoMA.